Social media involvement in the political sphere is becoming more & more common as Fox News teams up with Twitter to host what they call “the first Twitter election” in South Carolina tonight. 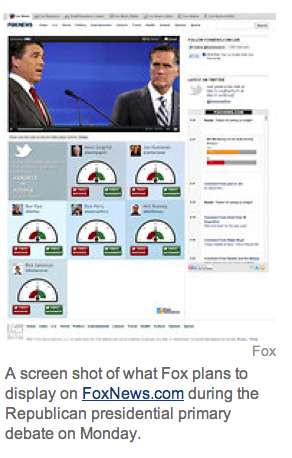 The partnership between Fox News and Twitter is the latest in a wave of online extensions to the 2012 presidential debates. CNN used a Twitter hashtag to highlight debate reactions on its Web site last year; NBC News teamed up with Facebook for a debate; and ABC News promoted a way to see campaign “spin” in real time.